We’ve already brought you our CES 2011 highlights, but not everything at the world’s largest technology show was worthy of praise. Here our CES team pick their biggest disappointments from the show. There were lots of early prototypes at CES 2011, but that’s no excuse for the bad experience I had with Sharp’s tablet PCs. The Asus prototype tablets impressed me, but as far as Sharp’s Galapagos tablets, the first one I picked up didn’t work. A representative then pointed me in the direction of one that did and I could hardly tell the difference. The touchscreen was unresponsive and the interface very awkward. In many unfortunate ways they resembled the Next Tablet. Yes Next, the mail-order clothing catalogue. While there was nothing wrong with the Samsung Galaxy Player 50 itself, I just don’t see the point of an mp3 player running Android. In an age where most people carry a decent smartphone, high end MP3 players are less and less necessary – why carry two devices, when one will do the job just as well? Considering the Galaxy Player 50 is little more than an Android phone without the phone, to my mind you’re far better off with the real thing. 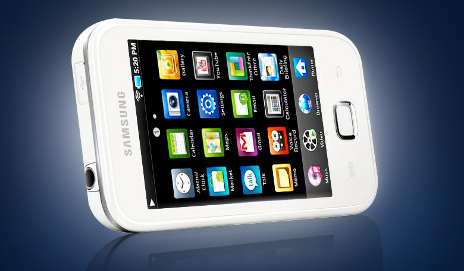 Though I listed the Samsung D8000 as one of my highlights, there’s one caveat – the touchscreen remote looks like a complete nightmare to use. Again, we can dip into 2010’s tests for some insight here, since it looks very similar to the remote we tested with the C9000. The problem? It’s a TV remote that isn’t immediately intuitive to use and, if the C9000 is anything to go by, will come with its own instruction manual! Remotes should never be that difficult to use. Fingers crossed Samsung bundle the D8000 with the standard remote as an optional extra. Hanvon’s ebook reader, the first to feature a colour e-ink display, earned much press in the run up to CES. But that’s all the good press it’s likely to get, as it’s an absolute disaster in the flesh. Its colour display is pallid, the touchscreen imprecise, and it’s excruciatingly slow. Throw in some shoddy build quality, and it’s clear that the Kindle and iPad have little to fear. Maybe colour e-ink tech will improve in the future, but the Hanvon was a poor advert for its potential. I think my biggest disappointment was the number of not so much half-baked, but maybe four-fifths-baked products on show. I love a future-gazing concept, but there’s a pang of disappointment when products, like Toshiba’s tablet, are not quite fully functional. 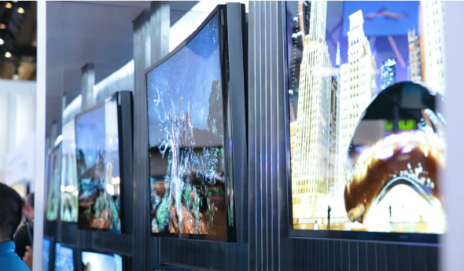 CES is a big gig and you can’t get an unequivocal impression of how products will truly perform without the real operating systems or processors in place. Some models looked so near to being ready that it smacked a little of ‘not getting your homework done in time’. I understand production takes time, but that doesn’t stop me from feeling a little let down. The Vuzix Raptyr is billed as “revolutionary see-through Augmented Reality eyewear”. It projects an image of the world to you on two tiny screens mounted in front of your eyes. This is then overlaid with computer graphics to give the augmented bit of the Augmented Reality. What you get, however, is a washed out picture on a small screen with some really basic arcade style graphics that wander around, rather than sitting on the plinth they were supposed to stay on. It’s completely underwhelming, and a gimmick of the worst kind. 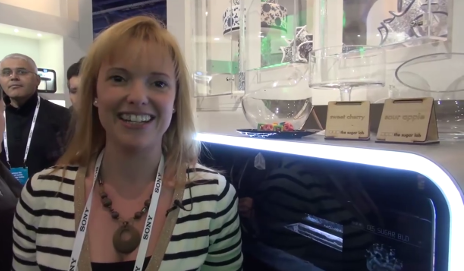 Check out our CES 2011 report to read more about all the new tech announced at the show. Will these also work as X-Ray glasses? I’ve always wanted a pair of those, since reading about them in the Beano!